Emma Josefina Reini was born on 3 May 1872 in Laihia, Finland. She was known as Josephine. Emma Josefina Reini arrived circa 1889, according to the 1900 and 1910 censuses. She married Alexander Mattson, son of Matti Joensun/Vilamo/Rentto and Aurora Frederika Fredrikintytar Makela, on 2 June 1890 in Fairport Harbor, Lake County, Ohio, and Sander's brother Nestor Rentto married Josephine's sister Jennie. Alexander Mattson and Emma Josefina Reini appeared in the US federal census of 1 June 1900 in Lead, Lawrence County, South Dakota. Other members of the household included Hilja Mattson, Jalmer Mathius Mattson, Hilda Elizabeth Mattson, Albert Alexander Mattson, Wilho Edward Mattson and Hubert John Mattson. The following appeared on 2 April 1910 in the Lead Daily Call: George Mattson, the 8 year old son of Mr. and Mrs. Sander Mattson, is very ill at the family home in Hiawatha Park. But little hope is expessed for the little fellow's recovery. Alexander Mattson and Emma Josefina Reini appeared in the US federal census of 15 April 1910 in 421 Park Avenue, Lawrence County, South Dakota. Other members of the household included Jalmer Mathius Mattson, Albert Alexander Mattson, Hubert John Mattson, George Mattson, Toivo Ralph Mattson, Emma Elvira Mattson and Walter Rudolph Mattson. She officially witnessed the death of Ida Mattson on 5 November 1913 in Lead, South Dakota. The following appeared on 5 November 1913 in the Lead Daily Call: Ida Mattson, the infant daughter of Mr. and Mrs. Sander Mattson, died this morning of infantile disorcers. The child was but nine months old at the time of death. The funeral will take place from the family home at 421 Park avenue tomorrow afternoon at 2 o'clock, Rev. Piettella officiating. The following appeared on 2 April 1919 in the Lead Daily Call: (Card of Thanks) We wish to extend our sincere thanks to all friends and neighbors who were so kind to us in our sad bereavement; also for the beautiful floral tributes. Mr. and Mrs. Sander Mattson and Family. In 1919, at the close of the war, Sander and Emma Mattson were photographed together with all of their living children: Jim, Albert, Jalmer, Hilda, Pete, Walter, Mayme, Martha, and Emma. On 5 April 1991, brother Hubert John "Pete" (in Hot Springs, South Dakota) wrote to Emma Davies (in Augusta, Georgia), "The picture that Elton sent you was taken in 1919 when we were living at 421 Park Ave. It was taken after Jalmer, Jim and Aub had been discharged from the service. I believe that that was the last time we were all together, as shortly after that Aub & Jalmer went to Butte, Mont., and Jim went to Sturgis, Mich."
Emma Josefina Reini became a widow at the 27 January 1924 death of her husband Alexander Mattson. The following appeared on 28 January 1924 in the Lead Daily Call: Santer [sic] Mattson, well known to Finnish circles and for the past 26 years a resident of this city and an employee of the Homestake company, died yesterday at 10 a. m., at his home. Funeral services will be conducted at the Finnish Evangelical church, Thursday at 2 p.m., Rev. K. V. Mykhanene officiating. Deceased was born in Wurta Finland, 1869, and in early manhood came to this country. He has been a United States citizen for the past 25 years. The immediate cause of his death was consumption. Mr. Mattson was a member of the Ancient order of United Workmen, the Homestake Aid association and for years was a leading figure in the Finnish Temperance society. Thoroughly Americanized, he besought for his large family the finest that educational institutions in this country afford. His success is attested to by the success of his children. He is survived by his wife, a brother, Nestor Rento, and the following children: Hjalmer, safety engineer of the Anaconda Copper Mining company, of Butte, Mont; Mrs. W. A. Ferguson of Lead; Albert A., states attorney at Soda Springs, Ida; Hubert J., expert manager for Kersch Lace Curtain and Rod company, Sturgis, Mich; Ralph, a student at the University of South Dakota at Vermillion; and Walter, Emma, Martha and Mamie, minors. Emma Josefina Reini appeared in the US federal census of 1 April 1930 in Lead, Lawrence County, South Dakota, at 7 East McClaren? Street. Other members of the household included Toivo Ralph Mattson, Walter Rudolph Mattson, Martha Marian Mattson, Mayme Margaret Mattson and Emma Elvira Mattson. The following appeared on 9 July 1932 in the Lead Daily Call: Miss Emma Mattson, who is an assistant to the famous surgeon, r. McClure at the Henry Ford hospital in Detroit, came Sunday on the Burlington for a month's annual visit with her mother, Mrs. Josephine Mattson, and other relatives and friends. She was met at Custer by her brother, Walter Mattson and came the remainder of the distance by auto. The following appeared on 1 May 1933 in the Lead Daily Call: Miss Emma Mattson arrived via the Burlington yesterday from Detroit, Mich., for a visit with her mother, Mrs. Josephine Mattson, and other relatives. 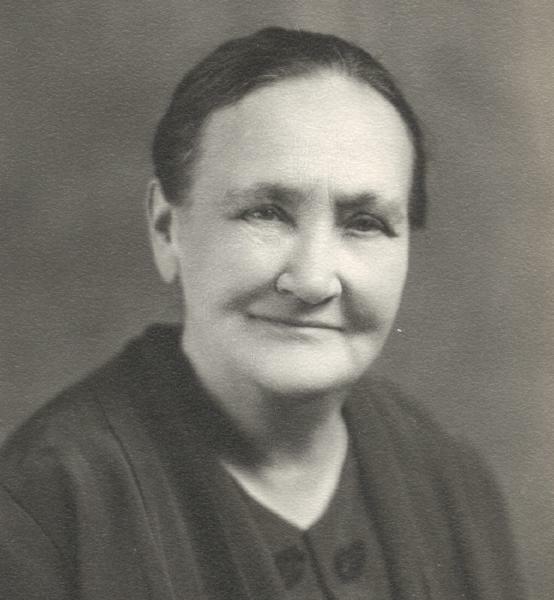 Emma Josefina Reini died on 23 August 1939 at age 67 in Lead, South Dakota. She was interred at South Lead Cemetery, Lead, Lawrence County, South Dakota. The following appeared on 23 August 1939 in the Lead Daily Call: Mrs. Josephine Mattson, a well known and highly respected resident of Lead for the past 40 years, succumbed in the Homestake hospital this morning about 1 o'clock. Mrs. Mattson had been receiving hospitalization the past two months for a broken hip, and was apparently recovering until a few hours before her death, when she became critically ill. Her unexpected death was a severe shock to her family and friends. The deceased was born in Laihija, Finland, May 3, 1872, and came to the United States in 1889. She had been a resident of Lead since 1899. Her husband died January 27, 1924, and five children also preceded her in death. Surviving sons and daughters are Jalmer of Butte, Mont; Mrs. Hilda Ferguson, Lead; Albert A., of Pittsburgh, Pa; Hubert J., of Tehonsha, Mich; T. Ralph, of Hot Springs; Mrs. Emma Davies, of Wagner, S. D; Walter, Martha and Mayme Henry, of Lead. The absent sons and daughters are enroute to Lead. Mrs. Ferguson was visiting in Minneapolis at the time of her mother's death and came today by plane. Other survivors are two sisters, Mrs. Jennie Rentto, Lead, and Mrs. Saraphia Hilston of Fairpoint, Ohio; seven grandchildren and one great grandchild. She was a member of the Finnish Evangelical Lutheran church. Funeral services will probably be held Friday or Saturday, although no definite arrangements have yet been made. The following appeared on 24 August 1939 in the Lead Daily Call: Funeral services for the late Mrs. Josephine Mattson, widely known Lead resident for the past 40 years, will be held Saturday afternoon at 1:30 from the rounsevell funeral home. The Rev. Andrew Karlin of the Finnish Evangelical Lutheran church, will conduct the service in the Finnish language and the Rev. Russell Olsen of the Bethel Lutheran church, will conduct services in English. Burial will be in the family lot at the Municipal cemetery in South Lead. A single grave marker identifies the graves of Alexander Mattson and Emma Josefina Reini and Wilho Edward Mattson, George Mattson, Ida Mattson and Theodore Mattson.